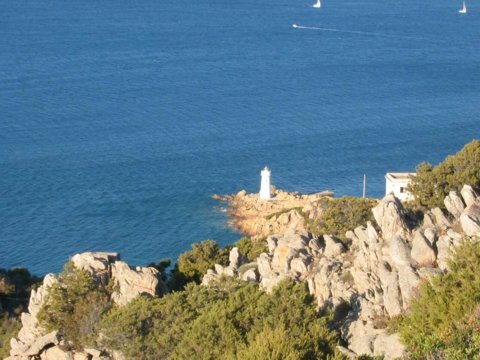 Take the road from centre of Palau towards Capo d'Orso, soon you will discover the huge mass of rock which has been sculpted by the elements to resemble a bear! (that today is the symbol of the village). At the end of this road there are two smaller roads, one going to the extic beautiful holiday camp of Cala Capra, the other one leads to the village 'Port Mannu' with views out over the 'Golfo delle Saline'. Is a lively collection of villas, cottages and apartments. In the centre of the village there is a hotel with swimming pool, restaurant and bar. The sand and rock beaches are excellent for fishing, swimming and diving; In fact within only 200 metres you can find a centre hiring out boats for sailing and diving. There are two floating pontoons for easy berthing. Palau can be reached by ferry from Corsica, Genova, or La Maddalena. If you are already on Sardegna, you can take SS133 or SS125 north to SP121 into Palau. 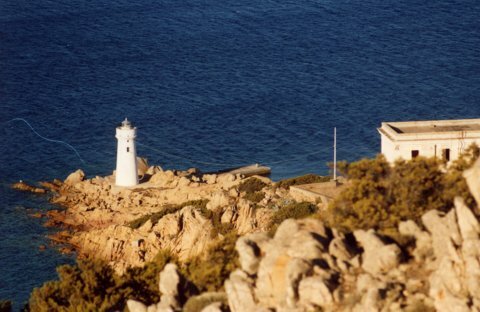 Once in Palau, drive southeast along the coast to SP123 to get to Capo D'Orso.